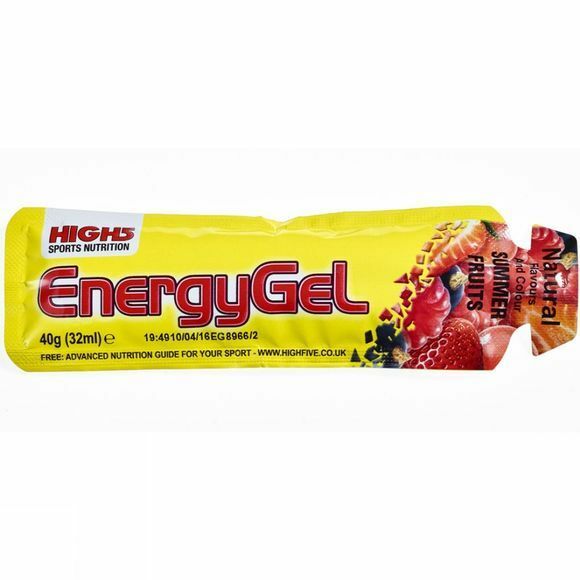 Athletes competing in the world's toughest events rely on High5 Energy Gels for instant bursts of energy. These lightweight, easy to open sachets are flavoured with natural fruit for a light, refreshing taste. During sustained, strenuous exercise, you can count on these handy carbohydrate-rich gel sachets to keep the energy pumping. Glucose, water, maltodextrin, fruit juice (cranberry, raspberry), natural flavouring, acidity regulators (tri sodium citrate, citric acid), sea salt, preservatives (potassium sorbate, sodium benzoate).